Ahead of a live gameplay demo at Comic-Con tomorrow, Telltale Games has released its second trailer for The Walking Dead: The Final Season. This is the fourth and final entry in Telltale’s The Walking Dead(Free) series, although there is also a spin-off season for Michonne. 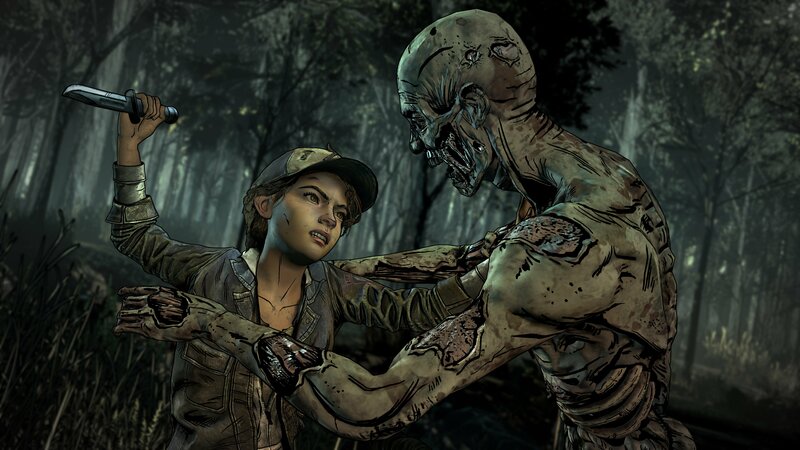 The Walking Dead: The Final Season brings the story full circle: Clementine has grown an exceptional amount since we first met her, and she truly embodies a fighter and a survivor. She has been on the road for years, but now has the chance at finding a home in an abandoned school. She is also responsible for a child now, with the orphaned AJ being the only family she has left. The final season in this critically acclaimed series goes for a different art style than the previous, with a look heavily inspired by the original comic art. It also boasts a new, over-the-shoulder camera system giving you a new angle on Robert Kirkman’s infamous zombie-filled world; more freedom to roam than in previous titles; and unscripted combat. Telltale hasn’t been at all secretive about the title, initially showing it off last July via “a look ahead." An undisputed worldwide success, The Walking Dead comics, books, television shows, and games have been experienced in many languages. Telltale aims to please upon the release of The Walking Dead: The Final Season, as the game’s first episode will be fully dubbed in English, French, Brazilian Portuguese, German, and Latin-America Spanish. Subtitles will be available in all of the above languages, plus traditional and simplified Chinese, Italian, and Russian. The Walking Dead: The Final Season’s first episode will be available on August 14, 2018. It is the first of four episodes in the season. The title will be available on just about any console on that date, except for the Nintendo Switch, which will receive the season later this year. There is no current word on an iOS or Android release, but as with previous seasons, we’d expect them to join the lineup on mobile devices at a later date.